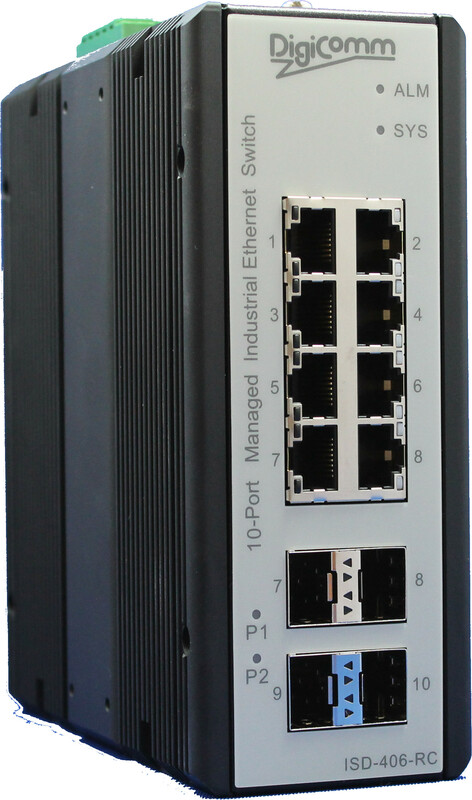 The DigiComm ISD-406-RC industrial Switchs provides 6TX + 2 Combo + 2SFP Gigabit-Ports. It is an DIN rail Layer 3 switch, with high flexibility and reliability for industrial networks. 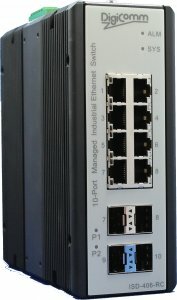 Die hohe Geschwindigkeit mit Wire-Speed-Performance für Layer3-Routing und das innovative QoS bieten nicht nur eine höhere Bandbreite, sondern auch gezielte Zuweisung und ermöglichen damit den vielfachen Einsatz in unterschiedlichen Anwendungen. The high speed with wire-speed performance for Layer 3 routing and the innovative QoS not only offer a higher bandwith, but also targeted allocation and thus allow multiple use in different applications.